What brands are these bottlecaps? 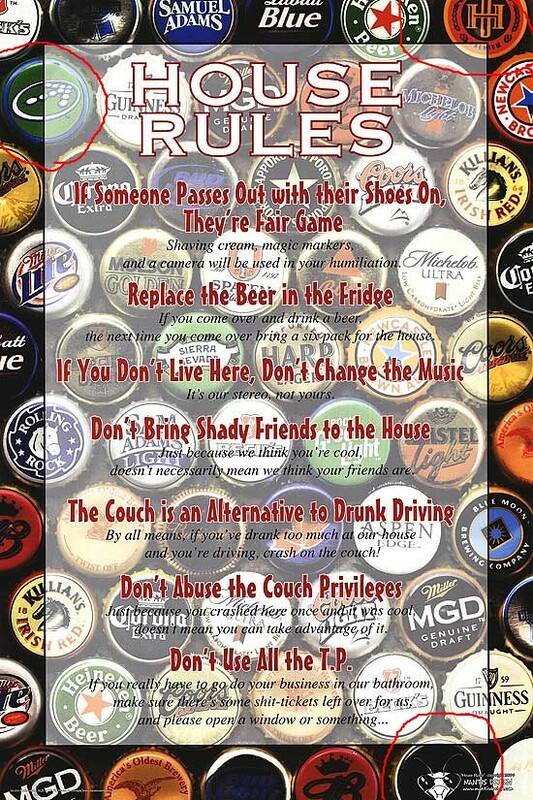 I have this poster hanging up in my dorm, and there are 3 brands of beer we can’t determine. I circled the three bottlecaps in red. Can anyone identify them? The one in the bottom right is not a beer. It is the trademark of the maker of the poster, made to look like a bottle cap. Mantis Design. I’ll go with @WestRiverrat for the Mantis one, but I don’t know the others. However, it may be on this site somewhere, if you have the time to look for it. @mrentropy Thanks for that site. I will have to set aside some time to look through it. @buckyboy28 I looked through the US and German pages and didn’t see the other two (it was early; I may have missed them). I haven’t been able to find a list that shows them. Can you provide any additional information since you are closer to the poster than we are from the image? Two additional suggestions would be to use the term crown for an internet search if bottle cap doesn’t pan out. It is the proper term within the brewery collectors. It is also worth contacting a brewery collector. Unfortunately, the one I used has closed his site. He was really helpful with one-on-one information, and I am sure that there are others out there as well. The one top right is J W Dundee’s Premium. The one top left is an older Rolling Rock Green Light. Have you ever felt lost inside yourself? When you have a big party, do you make your guests pay? If so, how do you ask them to "make a contribution" without looking tacky? Say you run a bar about 15 minutes from a college campus. Would you want (of age) college students coming to your bar?